It has been raining almost nonstop for days in Central Florida thanks to Tropical Storm Faye. However.... today.... there is SUNSHINE!!!!! I am so excited to get some natural light to take photos in. These photos are of Melanie's invitations. 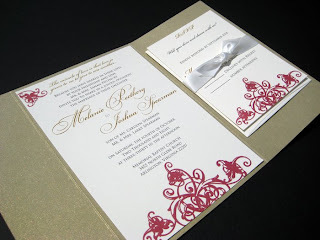 Melanie used the Romantic invitation in cranberry and gold with a gold booklet. 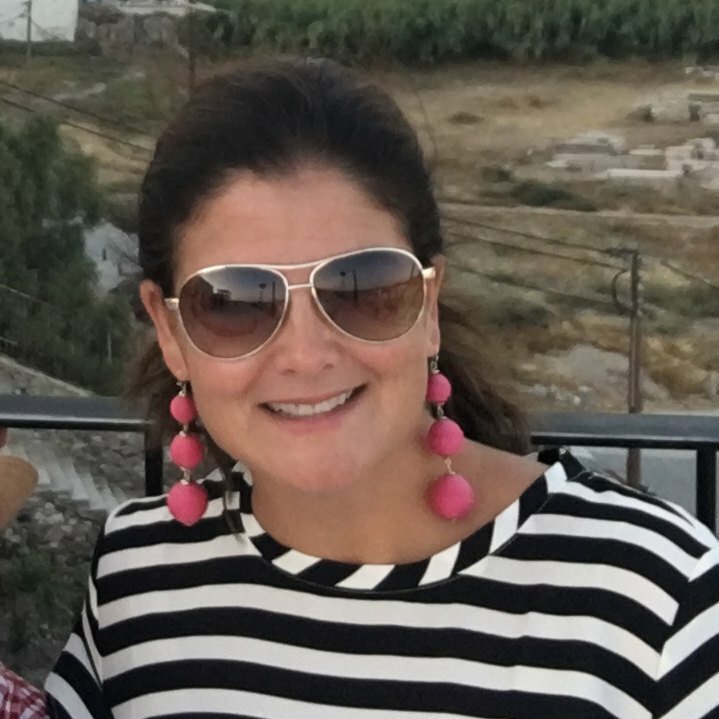 Melanie is so incredibly sweet and easy to work with. The booklet is created using a light stardream gold, it's hard to tell from the photo, but it's got a beautiful light shimmer to it. 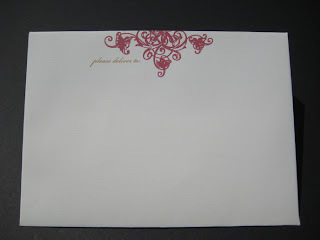 Once the booklet is opened, the guests are greeted by the invitation in the middle and the RSVP with return envelope on the right. 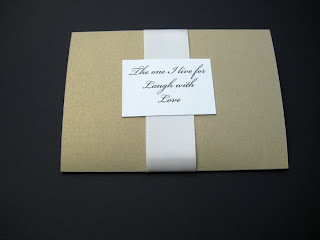 The romantic theme was carried through to the front and back of the envelope. I also took the some photos of the ballroom invitation (one of my absolute favorites!) in a light gold booklet. I'll be sharing those later this week.